As owner of North Florida Divers our focus is on training, not retail sales. We believe training is the key to a confident, safe diver. Above all, we make diving fun and simple to learn!As owner of North Florida Divers, I have been teaching for over 25 years. As a child I learned to scuba dive off the coast of Miami, Florida where I was raised. As years passed, and having opportunities to dive throughout the Caribbean, I became a divemaster working on local dive charters and working with student divers. In the early 1990’s I came a Scuba Instructor teaching in the Florida keys. As years past my dive business expanded to having the opportunity to certify hundreds of students. Today, I have earned the distinguished designation as a NAUI Course Director and Technical Dive Instructor. Currently I am a full time School Board Police Officer in Jacksonville, Florida. 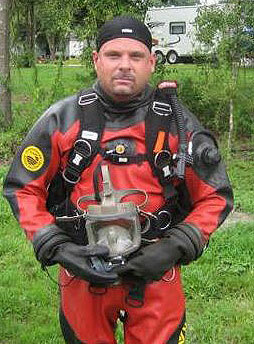 I am a certified Public Safety Diver Instructor with 11 years of former experience on the Underwater Search and Recovery Team with the Polk County Sheriff's Office. My family and I made diving a life style and I am hoping to make it yours as well.